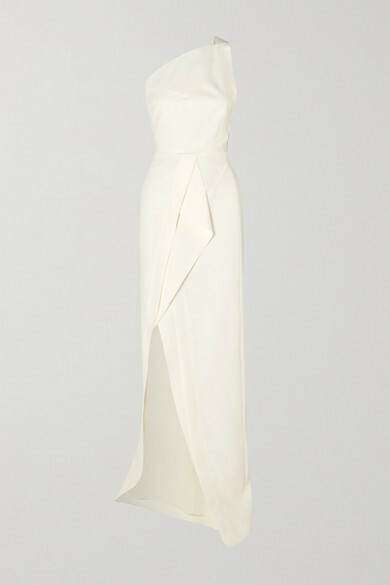 Roland Mouret's 'Lilyvick' gown shows off his signature draping techniques, creating a curve-enhancing silhouette that'll make you feel so confident on your wedding day. 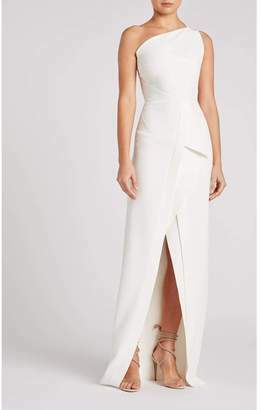 It's cut from crepe in a column shape and has a single fold cascading along the skirt to accentuate the front slit - perfect for framing your shoes. 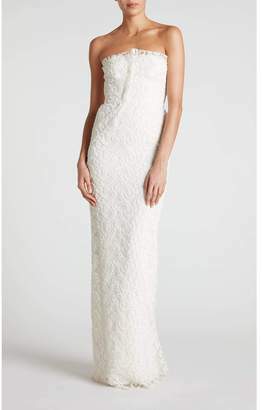 The one-shoulder neckline is defined by a single grosgrain strap that winds around the back and tapers at the waist.